How many of you remember those roadside ‘khhumcha wala’ selling a paper-cone full of masala chana dal or chana-jor-garam just in Rs. 10 or so??!!! 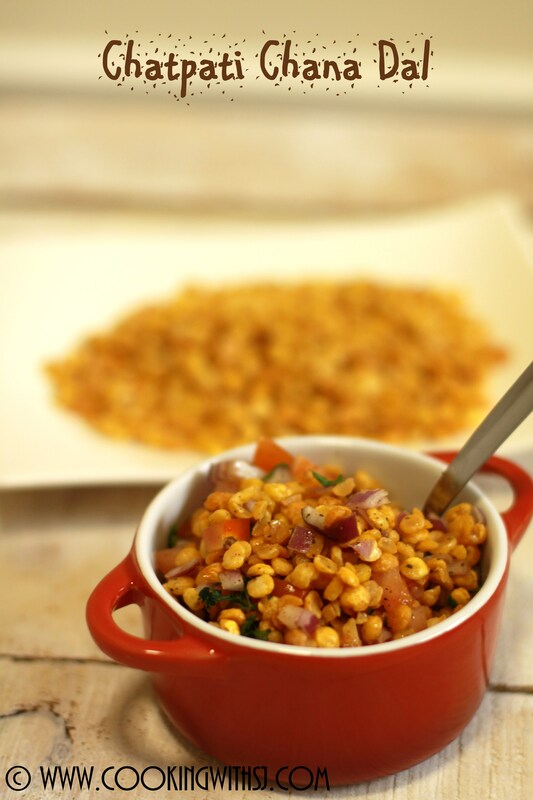 Try out this home-made, crunchy, delicious ‘Chatpati Chana Dal’ @ home n I bet you’ll forget stall/store-bought ones!!! Wash and soak chana dal overnight in plenty of water. Drain excess water and spread it on a kitchen towel to dry completely. Mix red chilly powder and black salt in a small bowl. Heat oil in deep-frying pan and arrange a heat-proof strainer in it. Add soaked chana dal (2 tbsp at time) and deep-fry them till crisp and golden in color. Take it out on absorbent paper and sprinkle spice-mix immediately. Repeat the same process for rest of chana dal. Toss it well and enjoy munching!! !